Do I Sound Gay? : It's The Movie Everyone's Screeching About! There’s an old expression in the gay community about a macho-looking man who opens his mouth and “a purse falls out”. This sort of “looks Tarzan, sounds Jane” is particular to the gay male community where a high-pitched, lisping voice has been a huge part of the stereotype of what gay men were like ever since Charles Nelson Riley delivered saucy double entendres on The Match Game (or his UK equivalent Larry Grayson exclaimed “Shut that door!” on The Generation Game). [Think the sub should have deleted the baffling American reference]. 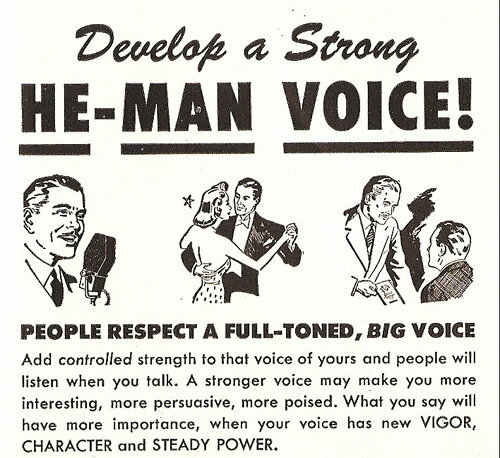 Usually this “gay voice” isn’t regarded as a positive, either by homophobes making fun of the lisp (usually accompanied by a wrist limper than day-old pasta) or the gay men who notice effeminate tones coming from the mouth of a potential suitor. David Thorpe, a journalist and film-maker, has become an expert on the vocal registers of gay men. His new movie Do I Sound Gay? is out on Friday and looks at the roots of where this particular intonation might have originated and why gay men feel so badly about it. It also charts Thorpe’s own journey to make his voice sound “less gay” through elocution lessons and voice exercises. There's an avalanche of article's about the film in the American (straight!) media, which I don't quite understand. PS Not sure when it'll be screening in the UK, despite what the Guardian say. According to the official website it'll be available to see online imminently. Update: New clip starring David Sedaris and Hugh!! !